Tree removal and tree trimming can be a fairly dangerous job. 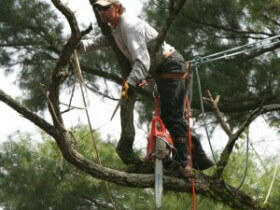 That is why many Austin home owners choose to hire a tree service. An investment like your home’s trees shouldn’t be entrusted to inexperienced, untrained hands. Worse still, tree work is dangerous enough that most homeowners won’t want to take on the job themselves. There’s definitely a right way and a wrong way to go about tree trimming in Austin. 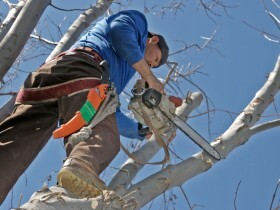 An improper tree pruning or tree removal job can result in bigger problems than what you had before. You should be especially wary of “door to door” tree service companies. Trust your gut and don’t go with the lowest quote you get. Ask for references in the area and follow up on them (the BBB is a good place to start). Ask for proof of liability insurance and double check with the insurance company to make sure the policy is valid. 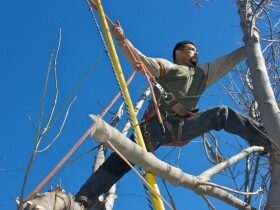 Check the credentials and track record, and only go with a fully-insured, fully-trained Austin tree expert! 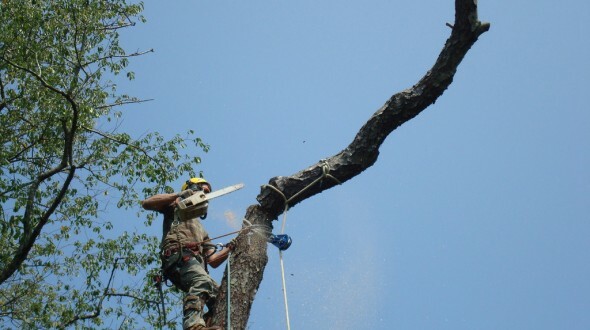 We want to be the Austin tree service that you trust and turn to for your trees’ needs.